Hi everyone! 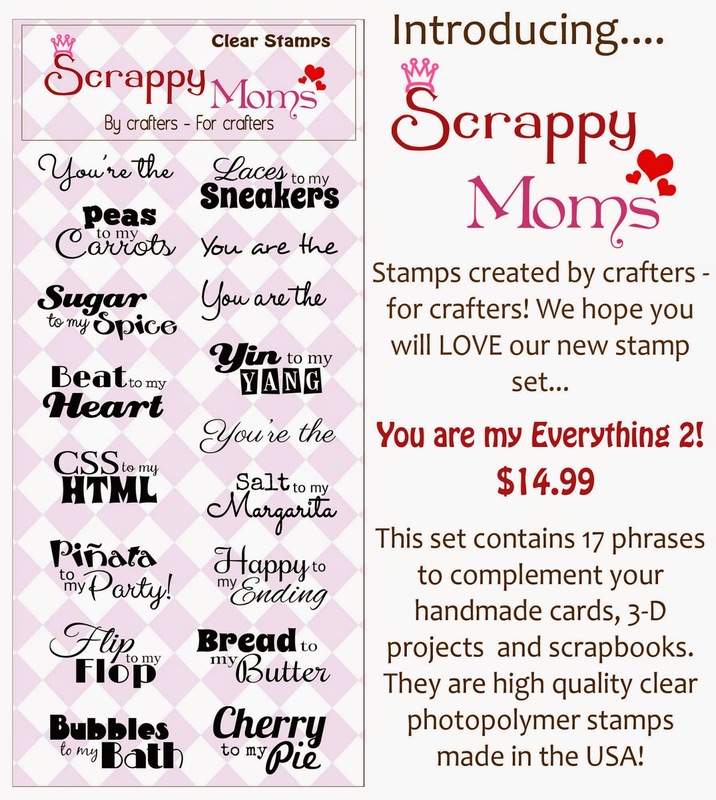 It's time for the January release from Scrappy Moms Stamps. The new sets are "You are my Everything 2" and "For the Birds". The paper is from the Echo Park - Capture Life (black & white) Collection. 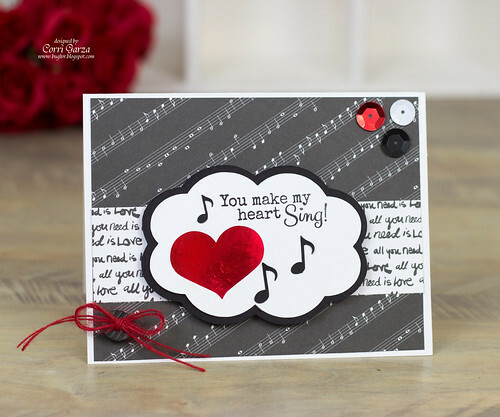 I used my Silhouette Cameo to cut the label shape, heart and music notes from Lori Whitlock. This color combo is one of my favorites. It works well for so many occasions. You can see more inspiration with these new sets by visiting the rest of the Design Team. You can find links on my side bar. We also have a guest designer this month...Sarah from Sarah's Stamping and Stuff. Stop by her blog to check our her fun creations! 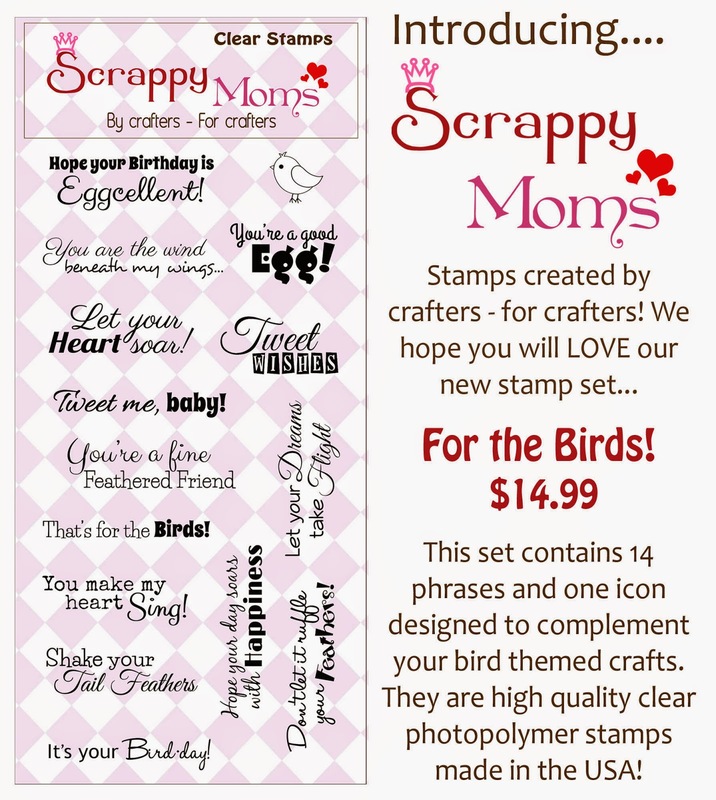 You can get these new sets over at the Scrappy Moms Stamps store. This is so pretty! That is one of my all time favorite color combos! Hugs! Corri, your card is super cute. I love the papers and color combo. This is so pretty-- I am a sucker for black, white and red! This definitely makes my crafty heart sing! Love the bow and the touch of sequins! :0) XOXO, Julie. Such a SWEET card, Corri! Beautiful card! I love your choice of papers and fun red heart and music notes! So fun! Very pretty, Corri! And I have to say, I love this color combination, too.